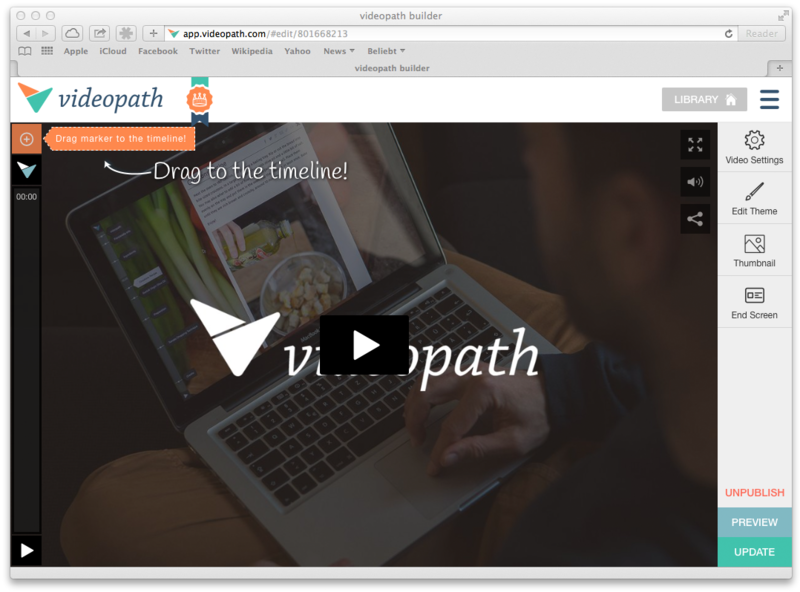 Welcome to Videopath tutorials. With these tutorials, you’ll learn how to use our tool in the most effective ways to create inspiring and engaging videos. In order to create your interactive project you will first need to take these steps. 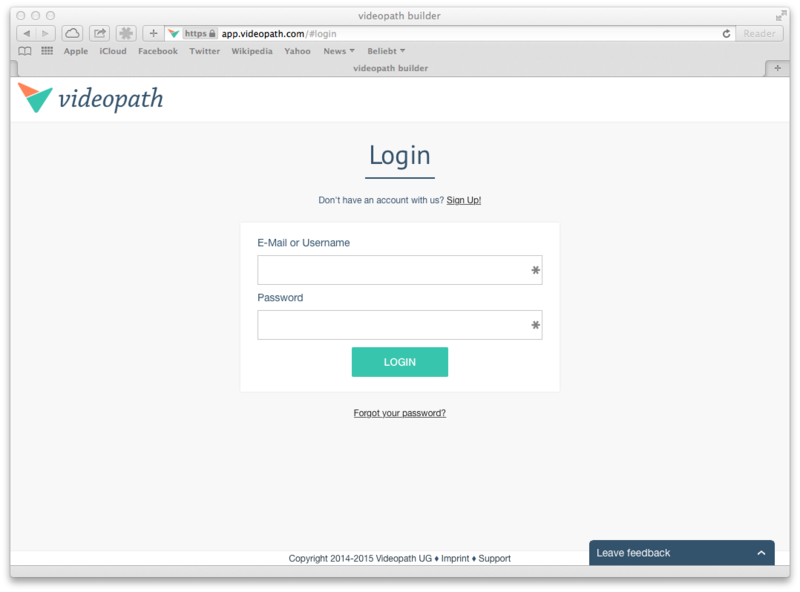 Sign up for Videopath and log in. You will be redirected to your Project Library. 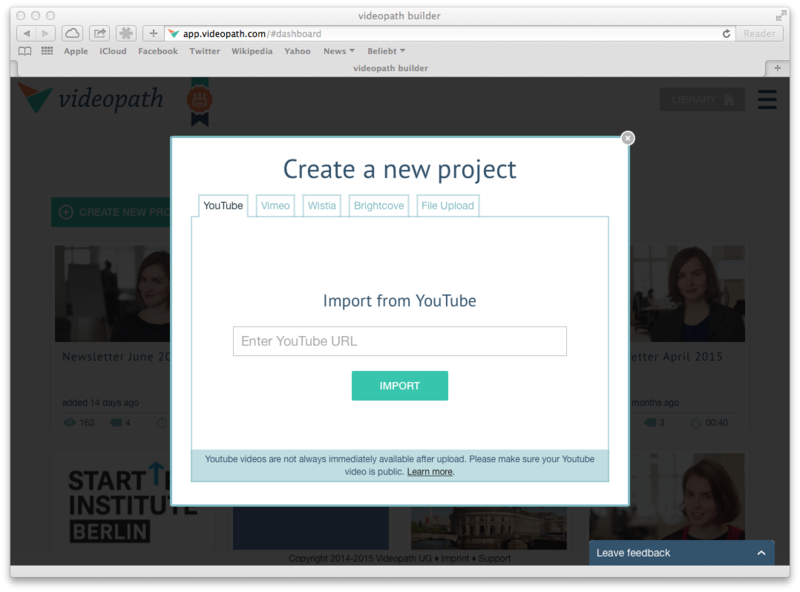 In the Project Library click Create New Project and import your video. You will now be redirected to the Editor. 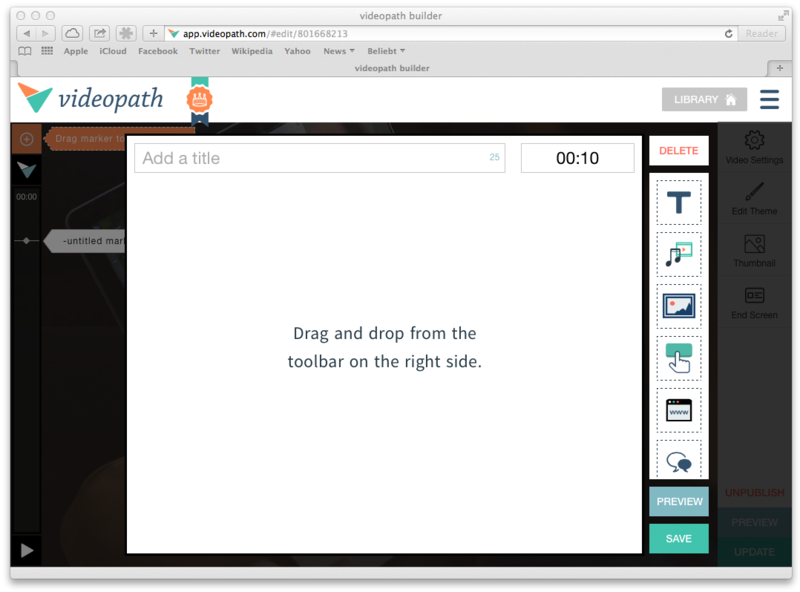 Start building your interactive video by dragging a marker to your desired moment in the video. In the upper left corner of the editor you will see a draggable marker. Position your marker to the desired moment on your time line. An empty overlay will show up and you can start to edit the overlay by adding various web content to your video. You can do this by either dragging the content block onto the overlay in the desired position, or simply clicking it which will bring a new content block at the top of the overlay. Read this tutorial for additional instructions of how you can use the content blocks to create a unique viewing experience for your audience. Keep in mind that you can add more than one content block to your overlay if you are using text, media, picture or buttons. All other content types fill the entire overlay and therefore you can only use one of the content blocks. 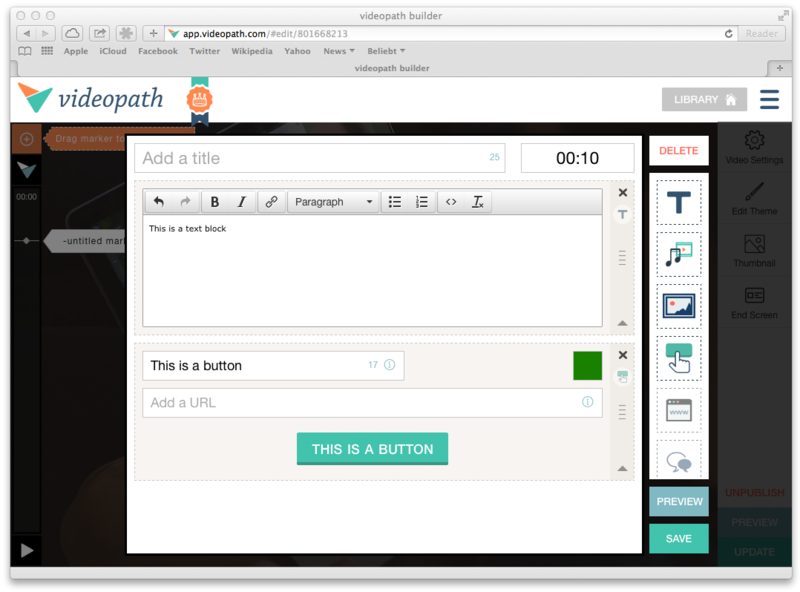 This page is part of the Videopath documentation. If you have any questions, please don't hesitate to get in touch.